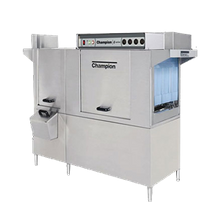 Conveyor dishmachines are a great solution for larger foodservice operations and institutions requiring high-volume warewashing. 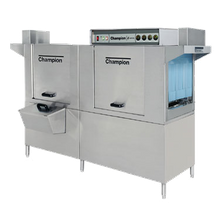 Productivity is increase due to conveyors allowing for racks to be continuously loaded and sent through the unit. 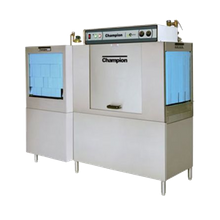 Choose from gas or electric models with rack capacities ranging from 70 racks per hour to 440 racks per hour in both high-temperature and low-temperature chemical units. 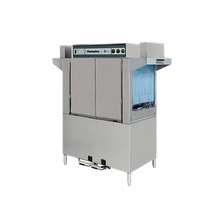 For high-volume foodservice establishments that dirty up thousands of dishes per day, we recommend nothing less than a heavy-duty flight dishwasher. 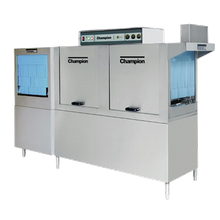 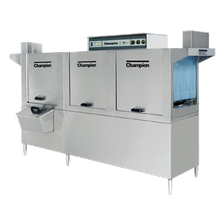 These particular dishwashers are designed to pre-wash, wash, rinse, sanitize, and dry dishes, all in one connected system, so hospitals, college universities, and correctional facilities can keep up with the high demands of their establishment. 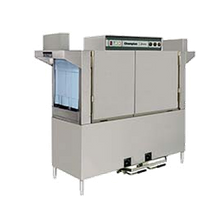 Plus, flight dishwashers provide a cost-effective solution for extremely large institutions.